Back in August, while on vacation in Idaho, my wife began to experience some stomach pain but didn’t think much of it. But, on our drive home around 9 pm as we neared Reno, the pain became intolerable. I called 911 and was directed to the emergency room of the Northern Nevada Hospital in Sparks. As we entered the ER, I was first struck by how the stereotypes of an ER on a weekend night were confirmed. Literally all of the visitors were, based on appearances, old, poor, obese, under the influence, or all of the above (I say this as an observation, not a judgment). Once we got my wife checked in, despite being in considerable pain, she had to wait almost an hour to see a nurse. She was then admitted and waited in a room for another hour before a physician came in to examine her. Once the doctor completed the exam, if you call it that because it lasted perhaps two minutes and there was no actual physical examination, my wife was told that she would have a series of tests done including a CT scan. She then waited another hour and a half for the tests to be started and another hour and a half before the physician gave her a diagnosis. Thankfully, the cause of my wife’s pain wasn’t serious and we were sent on our way at 2 am, 5 hours after we arrived (in the meantime, I stayed in our car in the parking lot with our two young daughters while they tried to sleep). We have followed the health care debate over the past few years and, as a result, know that ER visits are expensive, so we figured my wife’s visit would cost, oh, $2,000 or so. Well folks, we “misunderestimated” the cost by a factor of five. I just received the bill from our insurance company and the grand total was $10, 203 (or about $2,000 an hour). I called the hospital and received an itemized statement. Most of what was done was incomprehensible to me (I’m not that kind of doc! ): CMP Pane ($510), Level 4 ($715), but an Internet search helped explain things a bit. But, not surprisingly, the “bill killer” was an abdominal CT scan which ran a tidy $7525! I did a little research on line and found that a typical range for this type of CT scan runs the gamut from a national minimum of $1600 in Jonesboro, Arkansas to a national average of $2175 to a national maximum of $8,200 in Ketchikan, Alaska. I can understand why a CT scan would cost so much in rural Alaska, but can someone tell me why one in Sparks, Nevada would cost $7525? Well, I called and asked the billing department at the Northern Nevada Hospital that very same question and was told that the bill was so high because the hospital doesn’t specialize in CT scans. Huh? You’re a hospital, you have a CT scan machine, you have technicians to administer the scan, you have radiologists to read the results, and I assume you do a lot of CT scans. How does that not make you a specialist? How does that justify charging three to five times the normal rate for CT scans and almost as much as one in a remote part of Alaska? Now let me digress and put this experience in the perspective of health-care costs and health insurance in America today. I work for myself, so I buy health insurance for our family. Though we would love to have a so-called Cadillac plan in which everything is covered from the get-go, the premiums for a self-employed family makes your head spin. We chose a lower-premium, high-deductible plan with a Health Savings Account that costs us around $7,000 a year in premiums (our premium has more than doubled in recent years), that’s about half of what most families pay for coverage. At the beginning of each year, I deposit the allowed amount of pre-tax dollars (around $6,000) in our HSA and use that money to pay for medical expenses that arise up to our $9,000 deductible limit. This coverage has worked well for us because we are all healthy and, most years, don’t even come close to maxing out the deductible. We are certainly grateful that there was a hospital nearby in the event that my wife’s pain was serious. And the care she received appeared to be perfectly adequate (though the bedside manners of the hospital staff needed some work). And, thankfully, due to some minor surgery my wife had earlier this year plus the usual medical expenses any family incurs, we won’t have to pay the $10,000 ER bill (at least not directly because we all pay for medical care with increased premiums). On the drive home after leaving the hospital, my wife and I reflected on the experience and felt fortunate that, whatever the cost, we have the resources available for such emergencies. But, when we received the ER bill, we had a decidedly different reaction. We were appalled that there are many families in America for whom such a visit to the ER would drive them to bankruptcy, homelessness, and destitution. It’s easy, when you have a degree of financial security, to have a real disconnect from the financial challenges that so many Americans face today. It’s also easy, in the partitioned society that America has become, to simply lose touch with the lives and experiences of those different from our own. Yet, our ER experience brought those challenges into sharp relief for me and the impression wasn’t pleasant. It showed me the plain callousness of a country so supposedly principled that doesn’t provide such a basic right as health care for all of its citizens. I realized the absurdity of how much health care costs in America when other countries provide universal care at much less cost with far better outcomes. It demonstrated to me the tragedy of so many good people who, out of no fault of their own, are suffering for a lack of such a fundamental right. And, as the father of two girls, it pains me to think of the millions of children who don’t have their most basic needs to live a healthy life met: proper nutrition, a safe home, a decent education, and, yes, health care. This wantonly neglectful treatment of so many Americans is an outrage and it is mystifying to me that it isn’t expressed by more people, particularly by our elected officials (actually, I’m not surprised by our elected officials’ indifference). How can this inaction be justified in any moral world? And I came to these conclusions by simply visiting an ER in Sparks, Nevada, late on a Saturday night. Jim, Sorry to hear about your hospital bill horror story. I’ve been trying to figure out for some time how to know which emergency room to go (in an emergency) to get 1) good care and 2) not ripped off. Impossible,Jan! Jim,we have had the same experience,and the cost is absurd. One tylenol cost $28.00. That,with the fact that in Kingwood,Texas,you are put in a bed,in the hall,because if over crowded er rooms for hours. Our visit was 8 hours long,most of which,we were alone,in the hall waiting. No doubt the provision and pricing of medical care is a problem. I’m not sure what the solution is, but I doubt that the ObamaCare behemoth qualifies. I am sure, however, that universal government-provided health care isn’t the solution. I’ve lived in a number of countries that have it, and I’ve read enough about such systems in other countries (including Canada and the U.K.). 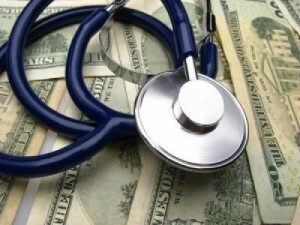 What results is a lowering of the quality of care for everyone, long waiting periods not only in ERs on the weekends but for both routine and urgent medical/surgical procedures, and the proliferation of private sector alternatives (where allowed by law) that permit people with enough money to get around the government system. In other words, pretty much what we already have but worse. One other point — health care is not a right unless government says it’s a right. The basic rights to life, liberty, and property are negative rights in the sense that they pre-exist and cannot be legitimately taken away. So-called positive rights are granted by governments and are limited by government. Some may claim that food, housing, clothing, medical care, minimum wages, unemployment payments, food stamps, cell phones, and who knows what else are “basic” rights, but that’s true only if a government says so. What’s happening in the U.S. now is what’s already happened in much of Europe. So many social “rights” have been invented that there’s not enough money to pay for them. As Margaret Thatcher actually said, “Socialist governments traditionally do make a financial mess. They always run out of other people’s money.” That’s essentially what’s happening to us now — fewer people producing wealth, more and more people consuming wealth through “rights” created by well-meaning (mostly) but ill-informed politicians. Whoa, Tom, you just threw the bathtub out with the water! We have socialized medicine in this country–for the military and Congress. Most of the rest of us can’t afford $10,000 hospital bills. Jan, I guess it might be appropriate to throw out the bathtub with the water if the tub is full of holes and leaks all over the floor. I don’t have a knee-jerk negative reaction to universal health care (let’s not call it “socialized medicine”). It’s just that from what I know about it, it creates a whole new set of problems, including huge costs, that aren’t better than what we already have. The real problem is cost control. If that could be brought under control, we could deal with everything else. The military health care system for active duty personnel (it’s different for those who are retired) could be called universal health care, but there are so many qualifying factors that the comparison doesn’t work. Young and healthy population, control over the location and delivery of health care, doctors who aren’t paid huge salaries, tests only as needed, no inflated hospital costs, etc. It works well, but it’s very different. Members of Congress have health care just like civil servants — health insurance that they pay for and that they can change during “open season” periods. Pretty much what anyone at their professional and income levels would have. Actually, private companies are pushing employees out of the health care plans that might be comparable to a shadow of what Congress has. Nowadays, people are hired as contractors without health care benefits, even if they work a full week load, or they are hired as part-timers. Meanwhile, a friend who has a health care plan provided by the city of New York found out that a suburban hospital in her hometown now says it won’t take that plan–sending her large bills for an operation done earlier this year. This hospital was a nonprofit which is now a for-profit hospital, leaving very few nonprofit hospitals in New Jersey. So much for what professionals can expect their health care plan is worth in NJ.